Crime rates are a fraction of American levels and Canadian 'no guns allowed' cities are much safer than in America. Canada's culture of respect is reflected in law abiding citizens and, outside of Quebec, very little real government corruption. Canada regularly scores among the least corrupt counties in Transparency International’s corruption rankings. The British also left their wonderfully simple parliamentary system. In Canada, once your party is elected with a majority of the seats in parliament, as Prime Minister you are effectively a benign dictator for 4 years. The same goes with Canada's equivalent of the State Governors – our Provincial Premiers. Do a bad job and expect to lose the next election after 4 years – for the most part, almost all federal and provincial governments last two election cycles. After a federal election, the winning part's leader picks his/her cabinet, senior bureaucrats, and appoints Senators and federal judges to vacancies in the upper house and the judiciary. Appointments are long term, generally outlast two election cycles except for judges and Senators, who serve to the mandatory retirement age. 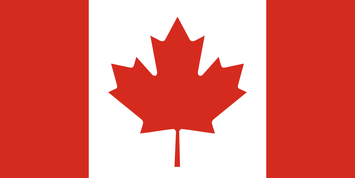 As in the US, Canada has three levels of government - federal, provincial and municipal. Its British constitutional framework, based on “Peace, Order and Good Government”, has produced strong regional and provincial level governments which control major policy areas like healthcare, education and welfare. While the federal government has superior taxation powers, the provinces benefit enormously by owning and controlling all natural resources. The second largest country by land mass, Canada has massive natural resources with large gold mines and the third largest proven oil reserves in the world. Its small population (12% of USA's population) is made wealthy by vast amounts of oil and gas, minerals, water and forests. Both Canada and the USA lag well back in the most recent World Health Organization ranking of healthcare systems – Canada 30th in the world, the USA 37th. The advantage for Canada is that our single payer universal health care system only costs us 11% of GDP, while in the USA the cost to the USA is 18% of its GDP. Canada's universal – all Canadians are covered – public system is preferred by Canadians over the American system which leaves many families unable to afford full health coverage that system's private insurers offer. We model ourselves as an European alternative to the USA – in terms of social programs and enterprise establishment – and that’s not always to the best. Canada has opened its borders to an increasing flow of immigrants including refugees, putting pressure on government budgets called in to integrate the newcomers. As in the US, the public sector is a chattering class oasis of 1980s style social engineering. High-priced and rules focused, our governments and media are increasingly fixated on gender and identity politics. Canada's state funded broadcaster, the CBC, dwells obsessively on grievance, race and victim politics. Canada's current Prime Minister, Justin Trudeau, seems to be more interested in politically-correct platitudes, gender balance in his Cabinet and fighting climate change than in building an economy. For all its evident faults, the Trump Administration promotes job creation, economic growth by reversing Obama’s regulatory assaults on the conventional hydrocarbon sector. In contrast Trudeau's Liberal federal government is thickening regulatory obstacles to more Canadian oil pipelines, banning oil tanker traffic along Canada’s west coast, and raising energy costs in a cold, widely-dispersed, resource based economy via a UN-approved carbon tax policy. Despite Canada's leftish drift under young Trudeau, it will remain one of the safest, kindest, and peaceful greatest countries in the world. Canadians believe in service to society more than service to their country, while abiding by the rule of law, and enjoying the value of high-quality and affordable education. Forty-two per cent of Canadians have university degrees (33% in the USA), and unlike some European citizens, Canadians are not afraid of either work or our large and growing immigrant population, who work even harder. No democracy on earth has a more stable political environment something that allows us to avoid the massive political swings found elsewhere. Decades long debates in Canada center around social issues, such as whether to have our provinces solely fund child care or rely in part on the Federal Government. Recently, a debate raged about changing three words in our national anthem to make the anthem fully Gender Neutral. While the rest of the world focuses on terrorism, immigration and youth unemployment – Canadians worry about rising house prices, protecting and improving a 'too slow' health care system, and whether our civil servants get a small raise. Submitted by CapitalistRoader on Tue, 07/04/2017 - 18:10. Canada’s education system substantially outperforms its southern neighbor – scoring high in the top ten rankings in international math, science and reading. Canada is really, really white compared to the US: 85% to 63%. An apples-to-apples comparison would be to compare Canadian educational performance (or crime rates or health care outcomes, etc.) to demographically similar US states like Minnesota or Vermont. A Scandinavian economist once said to Milton Friedman, ‘In Scandinavia, we have no poverty’. Milton Friedman replied, ‘That’s interesting, because in America, among Scandinavians, we have no poverty, either’. Submitted by qet on Thu, 07/06/2017 - 08:17. If this comment site allowed upvoting, I would upvote your remarks. This is such an impolitic truth, such an inconvenient truth, that it has been surrounded by a bodyguard of Left-liberal lies for half a century. It is a truth that dare not speak its name.